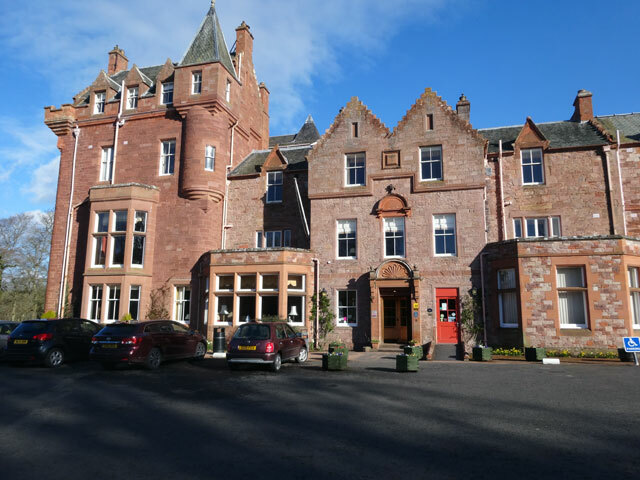 This is Dryburgh Abbey Hotel and, as can be seen from the picture, the sun is shining. During the course of today we had everything: sun, rain, snow, sleet and high winds. But throughout it all, it remained very pleasant. I was again up early, showered, walked Mix and set off for the Dryburgh Abbey Hotel by half-past eight, picking up John and Liz and bringing them back to Lanark Lodge for half-past ten. 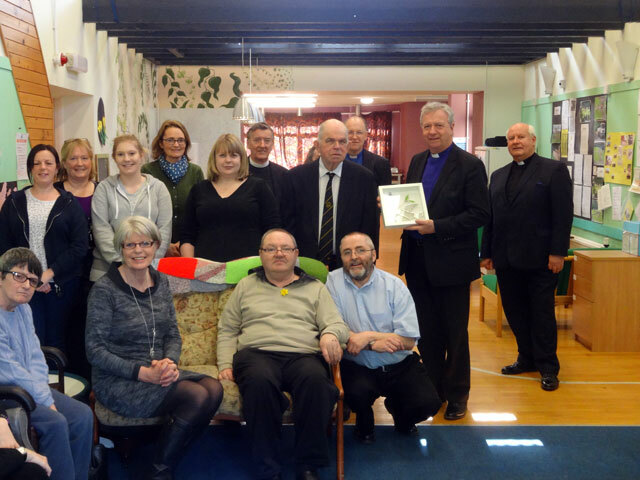 We met up with Alan and Mary, with Stephen and with David and then with the staff of the Lodge – a centre for folk with learning difficulties. Our guide was Rod Scobie, the Manager of the Centre, who had started as a volunteer, twenty-eight years ago and then worked his way up to his present post. 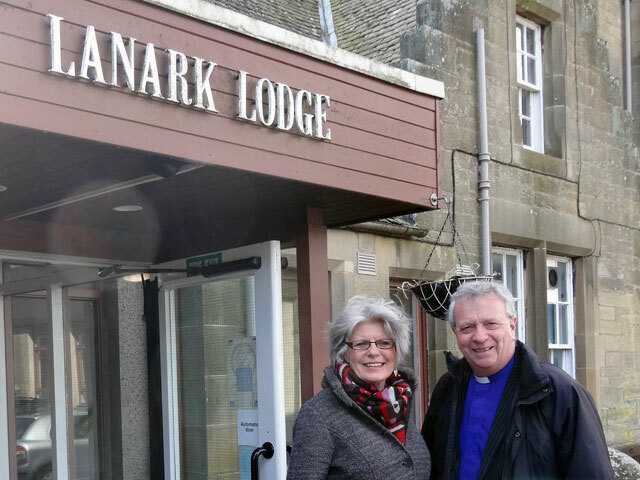 Lanark Lodge is light and airy, it is bright and appeared to be well-equipped. It was certainly happy. I guess that being an old building there must be problems of accessibility but the staff are clearly motivated and kind and I imagine that they can cope with anything. I certainly admired all that I saw. 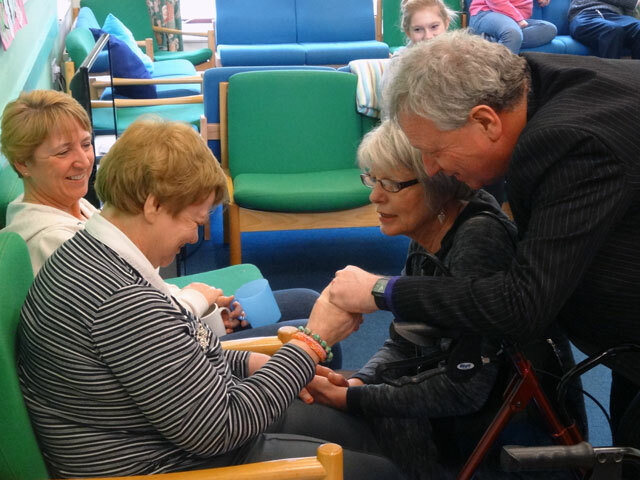 The folk who used the facility were impressive as well and obviously both enjoyed being there and had a good relationship with the staff members. Our visit lasted an hour and a half at the end of which the Moderator presented the Lodge with a dove – my goodness, we are certainly getting through these doves. Olive and Rachel served us an excellent lunch – a really excellent lunch: vegetable soup, salad with salmon mouse, lots of different cold meats, potato salad and roast beef, home-made coleslaw, beetroot and much more, all followed by a syrup pudding, fresh fruit, cream and custard, a cheese board and coffee to wash it all down. After the meal John presented Mum with another of his Bethlehem doves, Mum had joined us for the meal, and it will certainly be treasured. 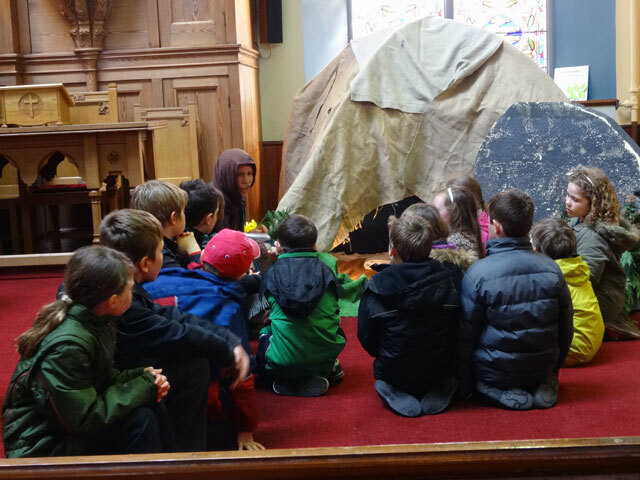 We couldn’t linger and immediately after lunch we set off for Duns to visit the Church where the local primary school children were attending a Heart and Soul of Easter celebration. 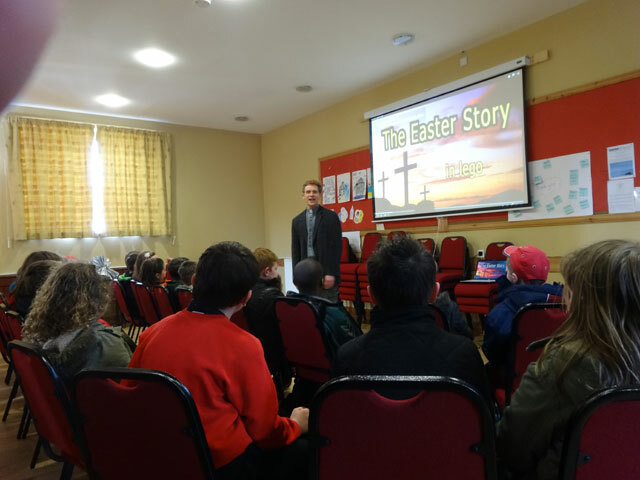 Classes started off by watching a short film – the Lego Story of Easter, ably presented by Jeff, Stephen’s American colleague. 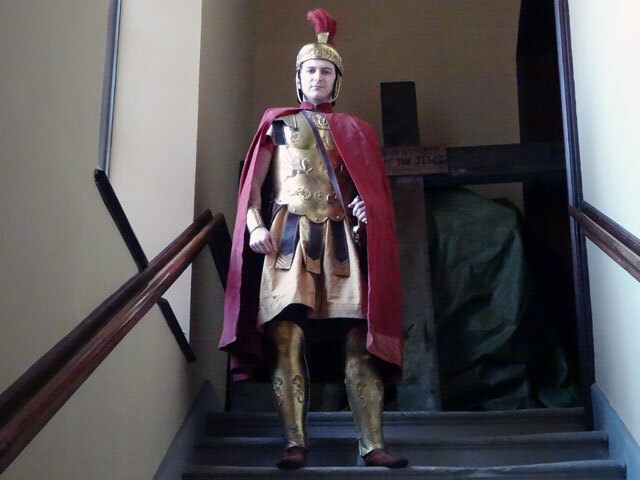 Then the children visited four tableaux – each consisting of a scene with a presenter – the first was Golgotha where the Roman Centurion described the events of that first Easter, from here we went to the exterior of the building in which Jesus and his disciples shared the last supper (and in which Jesus’ disciples subsequently met). 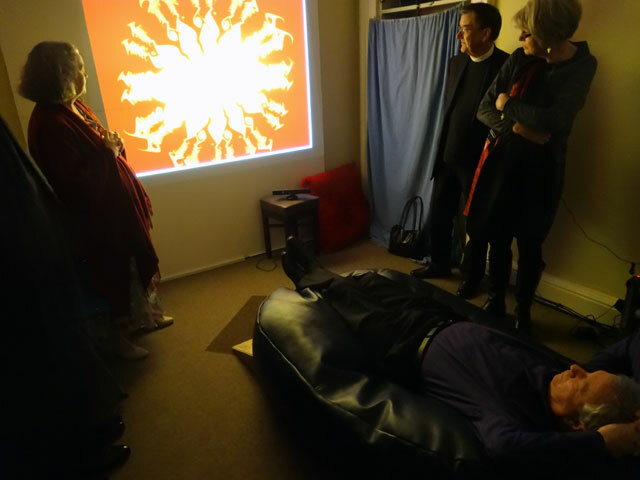 The owner of the room described the events both before and after Easter. From here we went to the garden tomb where the stone had been rolled away and Mary Magdalene spoke of the events of Easter Sunday morning and finally we were taken to the gardener who had cared for the tomb and had witnessed what had happened there. 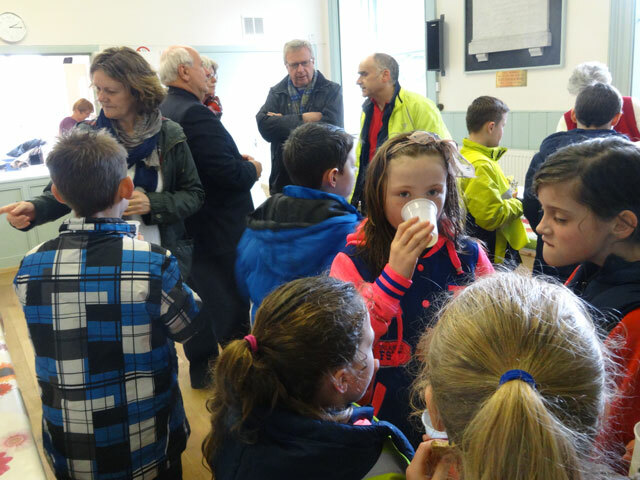 It was good and the children were mesmerised (and they enjoyed their biscuits and juice as well). 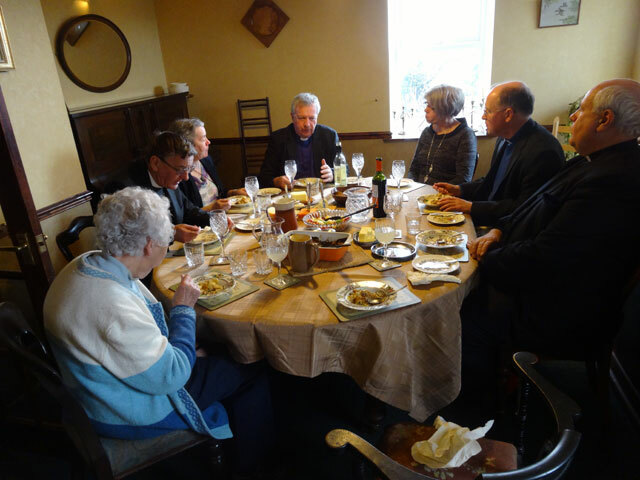 Following this visit I drove John and Liz to visit Hen, my predecessor as Presbytery Clerk. 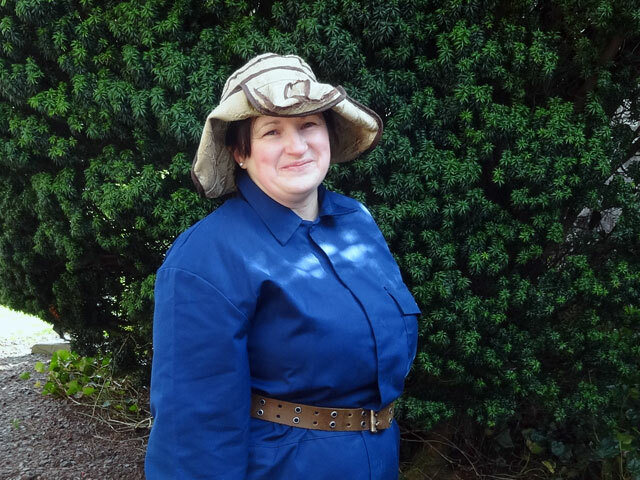 Helen had made most of the arrangements for this visit and she appreciated both the visit from John and Liz and the dove which John left with her. 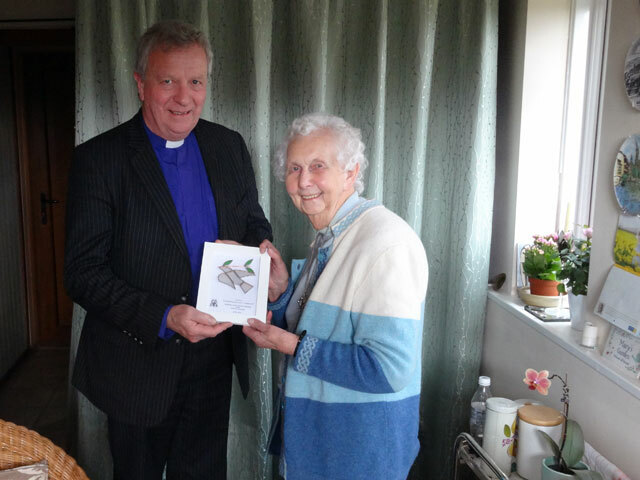 I drove John and Liz back to the home in which they are to have tea and then came back to Mount Pleasant to catch up before returning to Duns Church for our Presbytery Celebration. I was at Duns Church in very good time and watched as the church gradually filled up. Stephen had arranged a good programme, starting with some music and leading into the presentation of long service certificates. 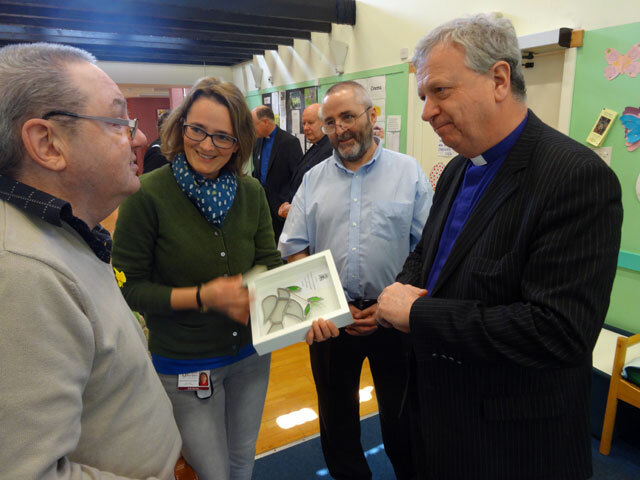 Next came the central section in which five different projects were described – five different projects which are active at present within the presbytery. These projects used video so it was difficult for me to get a picture of them for this blog. But it was exciting stuff starting with Ali Birkett talking about ‘Gateways’, a project in Hutton and Paxton designed to reach people who didn’t naturally gravitate towards the conventional church; Di Murtray picked up the story to describe ‘Coming Up for Air’ which tries to find space and time for parents to think about those things which are important. 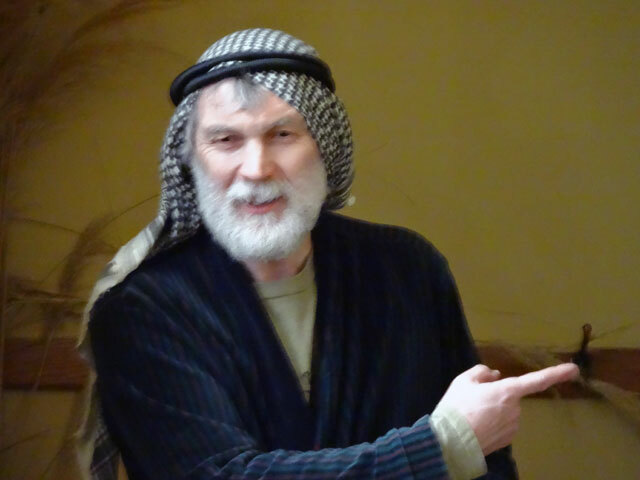 Next was a presentation on Messy Church described by Andy Haddow as a place where anything goes as families meet to worship, do things together, play and share a meal. 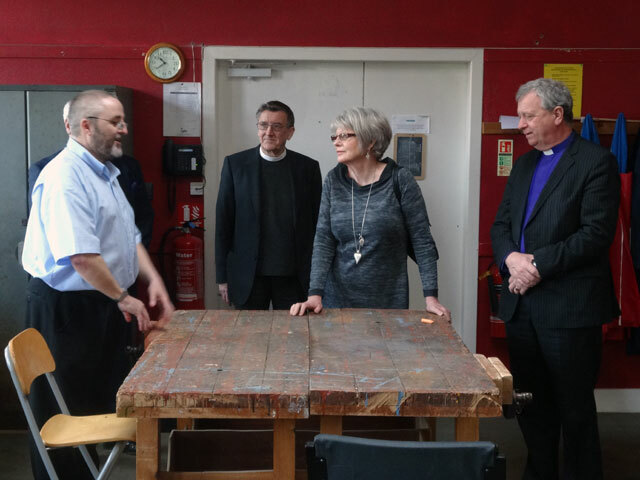 Bill Landale described the Root to Fruit course which seeks to train lay people to do many of the tasks currently performed by the clergy in the hope that ministry teams can help to revitalise the church. 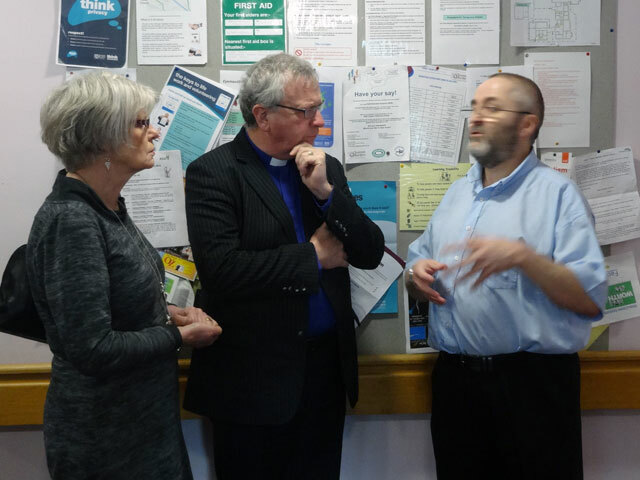 Finally Mark Bruce described the work of the Berwickshire Christian Youth Trust which reaches out to young folk at school, in holiday clubs and in youth activities throughout our presbytery area. 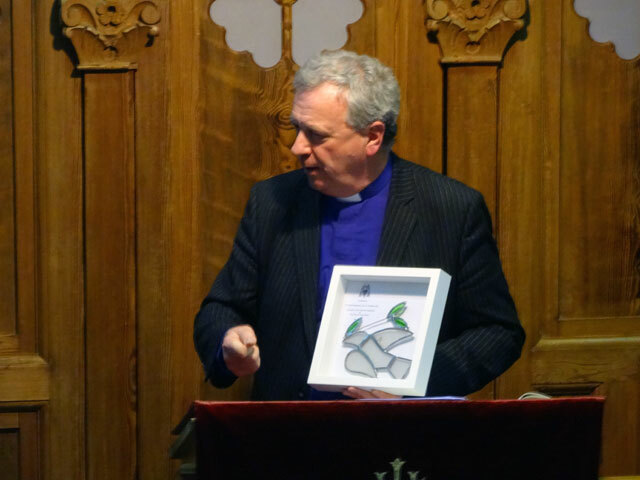 After some further music the Moderator spoke about his vision for the future of the Church. We have to remember that we are all playing for the same team, he reminded us on several occasions. Often we can be our own worst enemies because we fail to concentrate on what we have in common but prefer to constantly argue about our differences. It was ever thus! 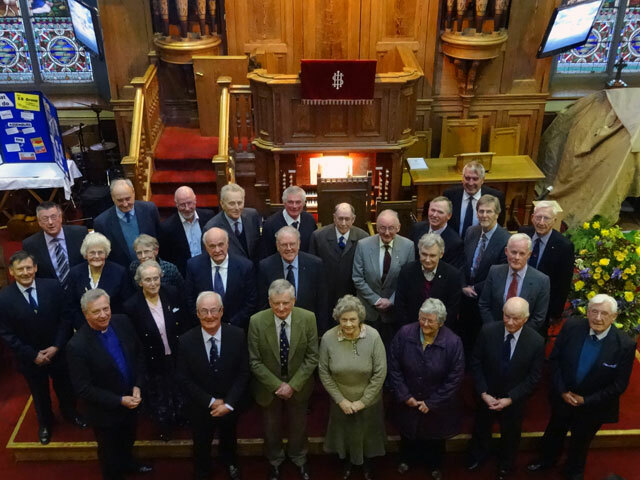 Let’s concentrate on growing our Church, If every congregation added ten new members a year for ten years we would increase our membership by 100,000 over the period. Now there is a vision. After a final song, the gift of a dove and the benediction we moved into the hall for coffee and cake after which I drove John and Liz back to Dryburgh Abbey Hotel before returning to bed.